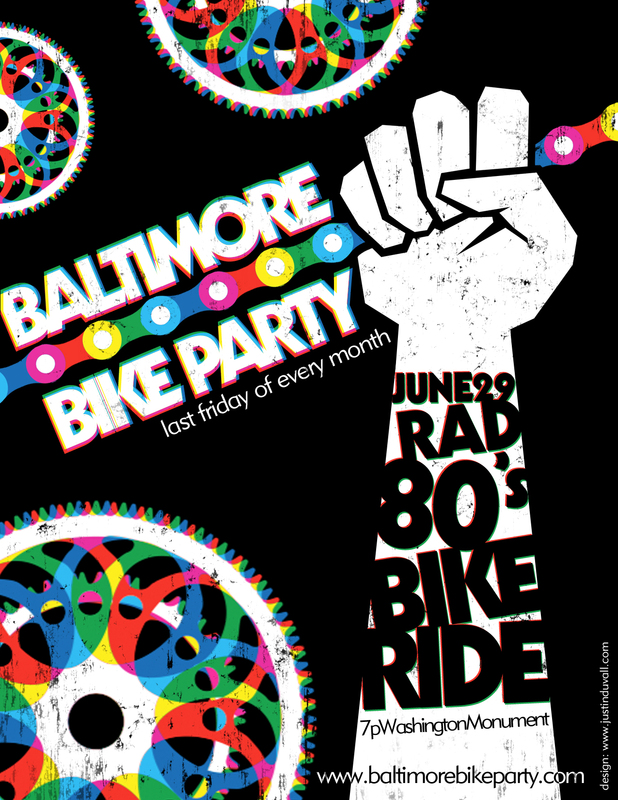 ← June’s RAD 80’s Bike Party! 3 Responses to New Poster! Would make a fine spoke card! Just sayin’. Will a route be posted before the ride? I might join you at the First Fridays stop by the streetcar museum. a route will be posted, it’s still in the works but it will go up to final fridays block party and will end in fells. details to come! Thanks. I’ll probably be meeting people up in Waverly so I may peel off early, but I’m sure any part of it will be fun. Speaking of Waverly, I noticed that both the Goodwill and Beauty Lane on Greenmount had some 80’s-lookin’ clothing and accessories just waiting for this, if anyone’s thinking of shopping for an outfit.